Another year has gone by on Unam Sanctam Catholicam! I can't believe that it has already been six and a half years...we have come a long way. This year saw the addition of our editor, John from Edinburgh, to the team. John performs the thankless task of going through my site articles and cleaning up the slurry of typos and grammar mistakes my off the cuff composition style leaves behind. We also had some major articles that got picked up on some very important sites: the article on Kasper, the Devil's Advocate, "Stop Shooting the Messenger" and Biblical Contributions were all viewed tens of thousands of times. Te Deum! 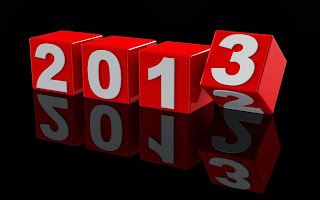 I am happy to say that after the New Year, we will have another exciting announcement about this blog and site. As always, here is my year-end run down of my favorite posts of 2013. Most of these are from the blog, but I have included a few of my favorites from the website as well. 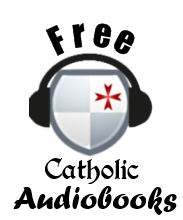 Athanasius Schneider: Clarification of Vatican II Needed: Archbishop Athanasius Schneider goes on record about some problematic texts of the Second Vatican Council that stand in need of clarification. St. Malachy: Case for Authenticity: Arguments in favor of the Malachy prophecies being composed in the 12th century. In Praise of Virginity. Anybody? Instead of making excuses and justifications for consecrated virginity, why not actually laud it and celebrate it without excuse or apology? 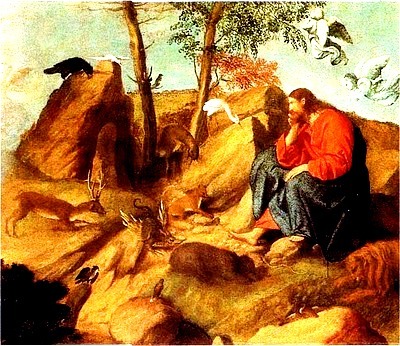 Pastoral Applications in Concrete Circumstances: How the modern "pastoral" approach can consistently undermine Catholic dogma without the Church's teaching ever changing. Roman Frescoes and English Martyrs: Excellent article on how the causes of some of the Englisg martyrs were saved by the discovery of some frescoes in Rome. Kasper Admits Intentional Ambiguity: Cardinal Kasper's bombshell comments admitting that many of the Conciliar texts were not only compromises, but left intentionally ambiguous to grant elbow room to progressive interpretations of Vatican II. The Benedict Narrative Emerges: How conservatives spun the historic resignation of Benedict XVI to make it "no big deal" even though it contradicted the narrative they contrived about John Paul II. Stop Shooting the Messenger, Please. The highest viewed article of 2013, this piece entreats our conservative brethren to stop accusing Trads of being "negative" for simply telling the truth. The problem is not Trads complaining about the chaos in the Church; the problem is the chaos in the Church. Contradictions in the Bible: Exposing dozens of the alleged 'contradictions' in the New Testament. Part of a series. The Spirit of Lent: Keeping the ancient fast of the Church in spirit as well as letter. The Belshazzar Problem: Solving the difficult problem of the existence of "King Belshazzar" in the Book of Daniel. 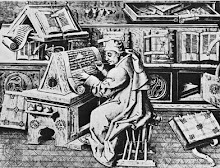 Spe Salvi and Universal Salvation: Dissecting some ambiguous statements in Spe Salvi which some have asserted teach universal salvation; part of a four part series on Balthasar, Fr. Barron and Hell. What is the Hermeneutic of Continuity? The hermeneutic of continuity can mean two radically different things depending on how one views the historical event of Vatican II. Gluttony and Lust: The relationship between the sins of gluttony and lust and how they mutually reinforce each other. Divine Origin of Political Authority: Introduction to the classical Catholic view of the origins of the State and its powers. Saints Aren't Perfect. Of course not...but we expect them to be pretty close to it. We certainly don't expect major derelictions of office from them. The Greatest Schism: The biggest problem in the modern Church is not progressivism, but the divorce of theology from asceticism. Communal Orientation of Priestly Life: We are told that so few choose the priesthood because the life is so hard; but would it be so "hard" if priests still lived in community? History of the Devil's Advocate: A very thorough treatment of the development of the canonization procedure with a focus on the institution of the devil's advocate. Please share these links with others if you have enjoyed them. And, if moved in your heart, consider making a small contribution to this site to help keep these very high quality articles coming. In my last post, "The Greatest Schism", (see here), I posited the theory that one reason we have so much bad theology today is because theological studies in the West are divorced from any sort of regimented ascetic discipline. This means the faith is something that is solely academic, robbed of its living power. St. Paul said that his preaching was so efficacious because it was "not in the persuasiveness of the words of philosophy, but in the demonstration of the Spirit and power (1. Cor. 2:4), meaning that his preaching did not flow simply from learning, but from a life lived. Mortification is necessary for the Christian life. "And as for you, let the anointing, which you have received from him, abide in you. And you have no need that any man teach you; but as his anointing teaches you of all things, and is truth, and is no lie. And as it hath taught you, abide in him." (1 John 2:27). It seems, unfortunately, that several people misunderstood my argument here. 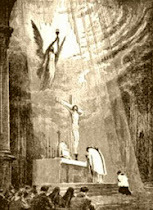 The biggest misunderstanding was from the folks who made comments such as, "But you don't need to do severe penance to be holy", offering St. Therese's "little way" as an alternative; others questioned the whole need to do penance ("Can someone tell me why we need to flay ourselves alive every day to procure grace? "), suggesting that the simple sufferings of a broken home or a struggling marriage are sufficient mortifications. First, we need to make a distinction between "mortification" and "severe penance", or "flaying ourselves alive." Mortification simply consists in self-denial. This can take a variety of forms and need not be severe; in fact, as many of you pointed out in the combox, most mortifications ought not be severe. To mortify simply means to "put to death." What we put to death is our flesh, and we do this through self-denial. Every single Christian, without exception, is called to practice mortification. This is why St. Paul says of himself, "I chastise my body, and bring it into subjection: lest perhaps, when I have preached to others, I myself should become a castaway" (1 Cor. 9:27); and he encourages this on every believer when he says, "For if you live according to the flesh, you shall die: but if by the Spirit you mortify the deeds of the flesh, you shall live" (Rom. 8:13) and "Mortify therefore your members which are upon the earth; fornication, uncleanness, lust, evil concupiscence, and covetousness, which is the service of idols" (Col. 3:5). Mortification is obligatory on every Christian. How this mortification looks will vary depending on our station in life and degree of spiritual maturity, and there are as many ways to practice self-denial as there are circumstances in life. So please understand that mortification ≠ severe penance in most cases. You are right if you say we need not all do severe penance, but you err if you infer thereby that mortification is not necessary. Second, let us recall that in the context of my original article, I was speaking of the particular obligation for theologians to live lives of mortification, since there is a profound connection between what is understood in the intellect and what is experienced in the spiritual life. The two reinforce each other, and without a sound grounding in each, the other tends to lose its moorings and can drift; spirituality devoid of intellectual formation becomes sentimentalism, emotionalism and ultimately pantheism, while a merely intellectual faith without any spiritual growth becomes sterile and eventually open to novelty. 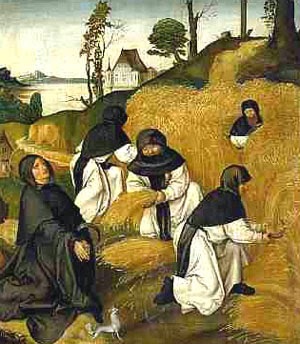 Humility of thought and mortification in life keep everything in proper balance and result in a theology that is sound, balanced, and vivified by grace, such as the works of Aquinas, Augustine, Bernard and the other great saints. To the degree our theology has gone wrong, I am convinced this is a very real reason. Simply growing up in a broken home, or living in poverty, or enduring a tragedy or some kind of abuse does not mean the suffering has been meritorious. It can be if it is handled rightly, but the mere fact of suffering is not meritorious. And even if these things have been suffered, the call to mortification is constant; we can never say, "I have denied myself enough in the past, I need not do it anymore." It would be just as silly to say "I have exercised enough last year; I do not need to do it this year." Ascesis, after all, means "training" in Greek. Let all Christians practice mortification in whatever manner is appropriate to their state in life and level of spiritual maturity, subject to the approval of their confessor. Let Catholic theologians bind their academic life to a spiritual discipline of prayer, fasting and penance that their doctrine may be pure and their teaching pleasing to our God and Lord Jesus Christ. It has been awhile since I posted any website updates, but there have actually been quite a few great articles that have gone up in the past two months. If you missed any of this, please take a moment to review. Some of these, like the articles on Kulturkampf and Mariology, I worked on for weeks. Bless you for your continued patronage of this site. 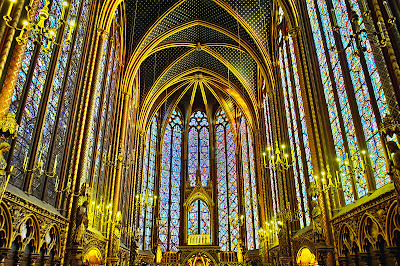 The Lie of Integralism: The distinction between liberal progressivism and reactionary integralism is a false dichotomy created by neo-Modernists. Building a Catholic Youth Group: Are you a new Youth Director looking to put together a Catholic Youth Group that is truly Catholic? This article will help. The Belshazzar Problem: A cuneiform cylinder proves the existence of one of the Old Testament's most elusive characters - King Belshazzar. Introduction to the Nephilim: Who were the mysterious Nephilim, mentioned throughout the Old Testament in connection with the fallen angels and sometimes referred to as giants? Fundamentals of Mariology: Very thorough but basic introduction to the fundamentals of Catholic Mariology. Propriety of Eucharistic Devotions: Early Protestant objections to Eucharistic devotions were based on the novel doctrine that the Eucharist had one and only one acceptable "use." Understanding the Kulturkampf: History of the struggle between the Catholic Church and the Prussian government during the 1880s and 90s. Is Halloween Pagan? Definitive proof that Halloween was not based on the pagan feast of Samhain. Comparing the New and Traditional Lectionaries: The arguments that the New Lectionary is superior to the old are actually based on faulty assumptions. Deus ex Machina or Fons Entis?|Examining the atheist critique that religion fulfills the role of a deus ex machina, and that once all physical phenomenon are explained by science, there will no longer be a need for religion. Can people sit on baptismal fonts? Liturgical quod libet examining why we can't just sit anywhere we please in the sanctuary. 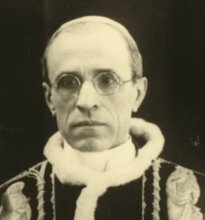 Pius XII: Under the Roman Sky: So-so movie about Pius XII and the Jews that is really not about Pius XII. The World's End: Latest apocalyptic comedy from Simon Pegg and Nick Frost. Greetings in Christ! Blessings and prayers for the continued health and well-being of Your Holiness during this Advent season. 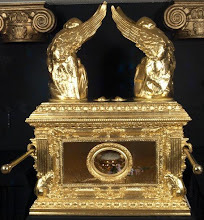 I am writing to you as a Catholic who loves our holy traditions for the purpose of sharing some thoughts I have on a few very important questions. As a lover of tradition, I rejoice that you have recently reaffirmed the doctrinal value of the Council of Trent and the so-called "hermeneutic of continuity" espoused by our former Pope Emeritus Benedict XVI, of happy memory. I also want to commend you for your forceful preaching on the reality of the devil and your frequent comments on the necessity of unity with and submission to the Chair of Peter for all Catholics. These gestures fill my heart with gladness and give me hope for the future of your pontificate. Since, however, you have stated that traditional Catholics have an important role to play in "being lucid and watchful regarding the contents of the Catholic doctrine" and have expressed how valuable it is to be criticized in charity (source), I want to offer some humble concerns that I have regarding the content of your apostolic exhortation Evangelii Gaudium. I first want to thank you for writing on the important subject of evangelization. Catholicism is not understandable without evangelization; the first command our Lord gave to the Church after His Resurrection was "go and make disciples of all nations, baptizing them in the name of the Father and of the Son and of the Holy Spirit, and teaching them to obey everything I have commanded you. And surely I am with you always, to the very end of the age.” (Matt, 28:19-20). This commission has always had a particular urgency about it in our Faith, as it is bound up with the salvation of each and every person on this planet. In the parallel to this passage in the Gospel of Mark, our Lord reminds us that the penalty for unbelief is severe: "And he said to them: Go ye into the whole world, and preach the gospel to every creature. He that believes and is baptized, shall be saved: but he that does not believe shall be damned." (Mark 16:15-16). Evangelization thus takes on a salvific importance - it has a supernatural end, and this has always been understood by Catholics throughout the ages. The purpose of evangelization is primarily to save souls. However, in Evangelii Gaudium, the impetus for Christian evangelization of other cultures for the purpose of eternal salvation is explained in terms of a "dialogue", and the supernatural end (eternal life in heaven with God) seems replaced by a natural one. You write, "Interreligious dialogue is a necessary condition for peace in the world, and so it is a duty for Christian" (EG, 250). The obligation for Christians to evangelize is "peace in the world", not the salvation of souls. This seems to substitute a worldly, naturalistic cause for evangelization for the more traditional supernatural one. Indeed, the two greatest issues Catholic evangelization has to respond to are said to be inclusion of the poor and world peace. (cf. 186, 217) It seems Your Holiness is suggesting that it is purely worldly concerns that the Gospel is here to address, not the salvation of men's souls or the false religions that keep them from that salvation. Your Holiness, I share your desire that the Gospel should be spread as far and as wide as possible, that Jesus Christ be proclaimed boldly and without fear. However, some of the content of Evangelii Gaudium seems to be counter-productive to that end. Take the issue of our Separated Brethren. 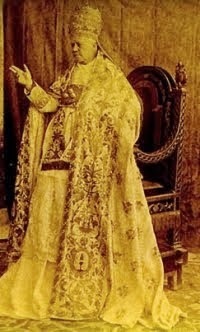 The Second Vatican Council took special pains to reach out to our Protestant friends, hoping thereby to end the spirit of mutual suspicion that had been dominant since Trent; in many cases, amiable relations with Protestantism were pursued even at the expense of relations with the Orthodox. In fact, to an impartial observer, the post-Conciliar Church looks closer to Protestantism than Greek Orthodoxy, despite the fact that the historical and sacramental bonds between the Catholics and the Orthodox are much greater. Your Holiness knows all this; I mention it only to point out that ecumenism with Protestants in particular seemed to be particularly dear to the Council Fathers, whose vision you are so admirably fulfilling in your pontificate. 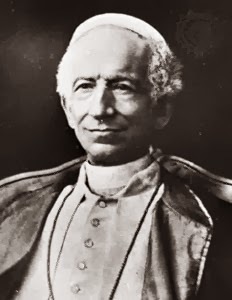 You yourself restated this commitment in the exhortation, encouraging Catholics to recall that we all are pilgrims on this earth, "putting aside all suspicion or mistrust, and turn our gaze to what we are all seeking: the radiant peace of God’s face" (243). Yet a few paragraphs later we find this statement: "Non-Christians, by God’s gracious initiative, when they are faithful to their own consciences, can live “justified by the grace of God”, and thus be “associated to the paschal mystery of Jesus Christ” (254). It is not my place to lecture the Successor of Peter on sacred theology, especially when I myself am no expert. But leaving aside questions of theology, of what it means for a non-believer to follow his conscience, of the formation of conscience, of how we are justified, etc., I feel compelled to point out, Holy Father, that from a strictly ecumenical viewpoint, no statement could be more offensive to our Protestant brethren than this. 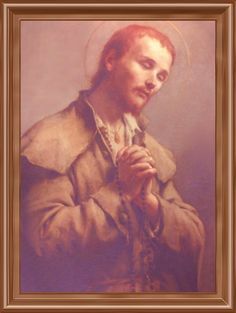 Though Protestants obviously disagree with us on many fundamental points, they ought to be commended in that many of them solidly affirm that one becomes a son or daughter of God solely through the mediation of Jesus Christ; in other words, despite our disagreements, most Protestant sects, at least in my country, still understand the fundamental connection between evangelization and salvation in the traditional supernatural sense. Were I to take this passage to my Protestant friends, it would be not an aid to evangelization but an insurmountable obstacle. Not that we should be afraid to preach truths that Protestants may take umbrage with; otherwise, how could we discuss the Petrine authority, the Assumption of Mary, or other like doctrine? But this is different; in the teaching you have elucidated in Evangelii Gaudium 254, the traditional connection between evangelization, salvation, and the necessity of entering the Catholic Church is sundered. You would be asking me not to defend the traditional Catholic Faith, but a novelty - a novelty which the Protestant would be understandably justified in rejecting. If we are speaking of following our consciences, Holy Father, I must tell you frankly then that I cannot in good conscience take this teaching to a Protestant and expect it to be convincing. I would be laughed out of the dialogue, and rightfully so. "Can he who is not inside the Church draw water from the fountains of the Church?" (Epistle 73, 10-11). Of course, Holy Father, Catholic theology has always posited the possibility that men could be saved outside of formal membership in the Church; this was understood in the patristic era and taught at Trent. But I fear that what was once understood to be a possible exception is becoming understood as a normative teaching, and that this teaching is having deleterious effects on our efforts of evangelizing. Why would non-Christians convert to our faith if they can attain eternal life just by "following their conscience", which almost any human being can do with a little effort? Why would Protestants or any other Christian sect seek to reconcile with Rome when we seem to be saying that Christianity and the Church are not even really necessary for salvation? And, as apologists, how we are supposed to reconcile these newer teachings with statements like those of St. Irenaeus and Cyprian above, or with the famous dictum Extra Ecclesiam Nulla Salus or with many other authoritative statements on the normative necessity of the Church for salvation? 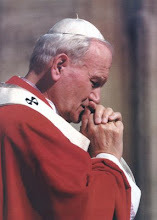 Dearest Holy Father, successor of St. Peter, Bishop of Bishops, Servus Servorum Dei, keeper of the keys of the kingdom of heaven (for so you are all these things), I pray thee, understand my distress and realize how damaging these statements are to the efforts of faithful Catholics to witness to the faith and bring souls to God through Christ. This is still the final end of evangelization, we must presume? We still do wish for members of other religious and Christian sects to convert and return to Holy Mother Church, don't we? Oh Holy Father, please be strong.